This post is based on one of my most ever responded to newsletters in 2016. It seemed to strike a chord with many and so I decided to share an edited version here. Full disclosure: it’s a long one. It’s 4am and I can’t sleep (thanks jetlag!) so it seemed like a good idea to write to you. I’m just back from a whirlwind 6 weeks​. Dublin, Glasgow, Edinburgh, Scottish Highlands, the Cotswolds, Paris, Lyon, the Ardeche region in France, Chartres Cathedral, Manchester and London. My feet have barely touched the ground and my laptop remained closed. Such an invaluable experience of deepening into what I’ve been practising all year – disconnecting more from technology, and deepening into my own truth. Clarity and insights were immediate after a couple of days immersed in a magical forest. Funny that! I don’t know how to put into words the enormity of so many realisations, but I will try to give you a snapshot. 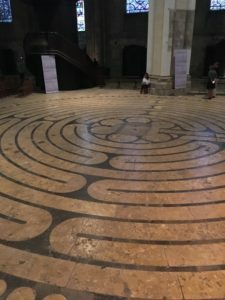 Two facilitator retreats I attended in France deepened my exploration into both the power of the womb mysteries and the magic of the labyrinth – something I’ve always been fascinated by. So many lightbulbs went off that I felt illuminated in glaring technicolour by the time I came to pop on the flight home. One overwhelming message was: trust yourself and BE yourself. Easy right? The majority of my choices have been intuitively led – most of my adult life – 95% of them making no “rational” sense and have often left me wondering about my sanity. So I made a pledge to surrender to this double Piscean aspect of me that senses far more that my rational mind will ever comprehend. 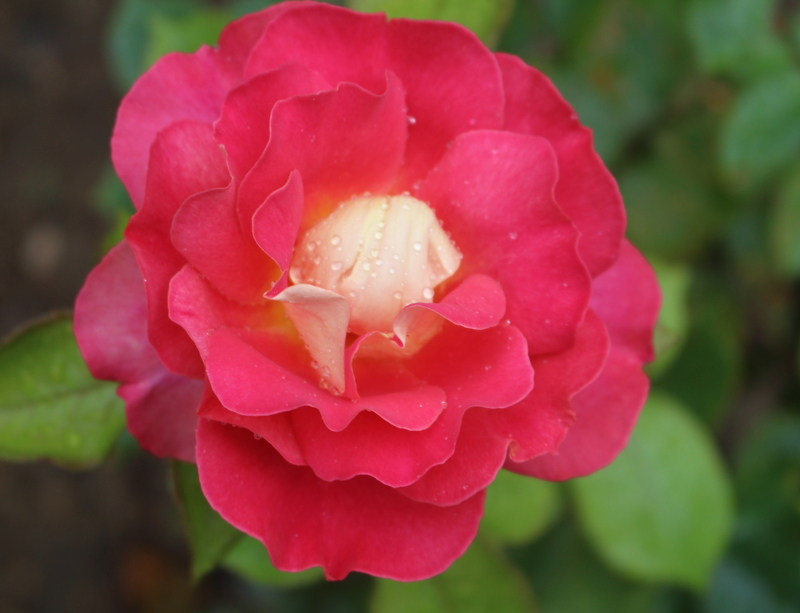 EVERY single day in my womb awakening facilitator retreat with Seren and Azra Bertrand of the Fountain of Life, I had realisations, listened to teachings, had synchronicity occurring – many of which were the repetition of vivid dreams I’ve had over many years. I realise now these were prophetic in nature and literal, even though I assumed they were metaphorical. It was as though the past 20-odd years of exploration, study, experiences and challenges all suddenly fell into place. We can always find the answers we need by going deeply within. More of your intuition will whisper to you when you connect more deeply into your body. No-one knows what you need more than you and don’t forget the wisdom of all of your ancestors is also encoded in your DNA. All of your gifts are deeply buried within you, specifically in your womb space. Your womb is not just about having a physical child, regardless of how amazing that experience may be. EVERYTHING you create is birthed from your womb energy, everything. The codes of EVERYTHING you are producing, consciously or unconsciously are stored here. Want to dive deep into your own womb wisdom? You are drawing everything to you, through this power. If you have studied many of the esoteric mysteries, visited sacred sites and explored many of the ancient goddess and priestess practices, then you will know that the womb is the holy grail. The womb is the gateway to all creation. It is literally a magical doorway or magical room, which is what Magdalene means. Do you, like I, find it fascinating that much of the language of awakening, in our patriarchal culture contains so many expressions like ‘raise your vibration’, ‘ascension’, ‘mastermind’? Move your energy into your brow chakra to connect with your intuition? Much of this is about moving the energy up into our heads, out of our bodies and what is in effect ‘the masculine crown’. Why do you feel this may be? Could it be because our ancestors knew how powerful the wisdom of the feminine body was and the patriarchy were frightened of it? The feminine crown is the womb space (the hara centre for men). So much of this knowledge has been ‘lost’ or ‘omitted’ over the centuries. It’s not about giving one energy dominance over the other but about the sacred union of both. The lessons of these lower three chakras that connect in with our physical bodies, could keep us occupied for the rest of our lives. Does it matter if your third eye is open if you can’t manage to sustain a healthy relationship, you’ve got stressful debt, dysfunctional dynamics with your parents and feel no passion for life? You could have the most vivid visions on the planet, but you won’t be able to bring them into your physical reality if you are repressing feelings and do not have a relationship with your divinely feminine innate wisdom. What’s your relationship with your menstrual cycle, the lunar cycle, the elements and your own fragile humanness? Connecting with these cycles and harnessing your own, are some of the ways you can form a closer relationship with yourself and develop your natural abilities and gifts. You have plenty of them, so many of which may be lying dormant waiting for you to unwrap them when the time is right. As we increasingly bring more presence into our lives and place our focus back on our breath, our body, the incredible innate intelligence in our magical power centre, then our lives start to shift and change in unimagined ways. I’m just not resonating with so much of what I see or hear, that I’ve literally felt like ‘a fish out of water’. For some months I wondered what was wrong with me and if I was becoming depressed, despite feeling content most of the time and also in a beautiful, loving relationship. Each time I felt ‘I should’ be moving ahead with certain offerings or my new website, I kept getting the message ‘wait’. I’ve been held gently in a percolating black hole – a womb-like space, whilst undergoing many realisations for the entire year. When you work for yourself, you can imagine how counter-intuitive it can seem to listen to that voice saying ‘wait’ when you are in the midst of a few projects, have bills to pay and are not ‘doing’ anything to ‘move your business forward’. Learning to switch into more of this ‘being’ mode, the inherent essence of our divine feminine nature can be incredibly challenging. When everyone around seems (as we never know what is going on really) like they are moving ahead in leaps and bounds, busy, busy, busy. So I’ve been truly tested on my ability to trust in the process and timing of life. I feel that my time in Sydney is coming to a natural completion. Despite the fact it’s one of the most beautiful cities in the world and I’ve never regretted moving here for a second, I’ve increasingly felt like I’m ‘on the outside looking in’ and slowing ‘separating’ myself. Hard to put into words properly. Whilst in France, I had several dreams with VERY specific explanations about the overly “solar” powered nature of Australia (sun = masculine, hot and dry), the energy of the land and how it’s been balancing and healing my inner masculine. That cycle of integration is complete and now it’s time for me to be in a more “lunar” dominated (moon = feminine, wet, soft) environment to move into a new cycle. Over the period of a week, I received nightly lectures in my dream-state of this ancient knowledge that made complete sense. (I will write more about this in detail but at present I’m still integrating much of it). One morning (after one of these revelatory magical nights), I placed my hands on my sacral and said “ok then wombie, where to next?” I clearly saw golden cords streaming out from my womb space, down into the earth and then out to a few locations, including the Languedoc region in France and Cornwall in the UK. I mused on this ‘Cornwall. Really? ?’ as I had no plans to move back to the UK. I was bemused when one of my mentors said ‘oh yes, Cornwall is very much aligned with the womb of Gaia and I know so many women are currently being drawn to move there to birth more of their feminine gifts into the physical. The Languedoc region is connected to the Cosmic womb energies so you can receive much inspiration and insights there, but to physically create, definitely Cornwall.” News to me! That morning in one of processing sessions we were exploring a lineage of priestesses connected with the Lady of the lake and swan totems. Later on that day, I received a ‘random’ text message from my partner (who I hadn’t spoken to for a week). ‘What do you feel about this?’ with a link to a real estate agency site and a piece of land in (you know where this is going)… Cornwall. My jaw hit the floor and remained there for a few days. A friend of his who lives in Cornwall happened to hear of this place for sale and immediately thought of him. The first photo on the link to the land he sent me was the image of a lake. The signs and synchronicity went on and on. Negotiations are underway and the dream of creating a retreat space and a labyrinth seem to be coming closer. Whether or not this specific location is THE one hardly seems important. It was more to show me how powerfully we can (wo)manifest when we clear and release all that we have been holding onto in this sacred womb space – to birth what is truly THE MOST important to us. As a wise lady once said, nothing was ever birthed in an upward direction… 😉 (N.B. this place is happening). I’m excited to move more deeply into this space in 2017 which pulls together everything I’ve ever learnt, studied, realised and integrated from my own life experience (most important)….